Luxurious fleece lined footmuff with water resistant shell to keep your baby cosy, with a pull-tie hood to keep your little one warm on colder days. Machine washable. Full length: 80 x 40 cm. 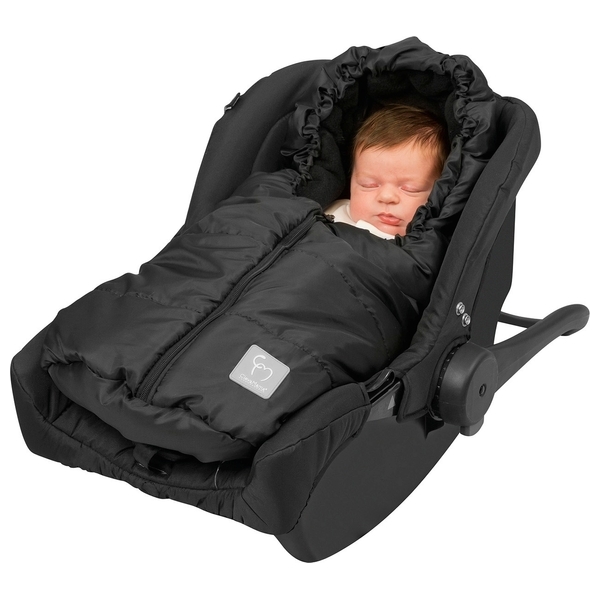 Suitable from birth and car seat stage 0. Universal fit - fits all cars seats with 5 point harness or 3 point harness.